All three cars are different when testing, but all three have a common goal: Maximum economy during driving. This is also the trend of all car manufacturers today. Three mainstream medium category car proposals, each trying to be economical and effective in its own way. Consumes 3.5 kg / 100 km. Consumes 3.6 liters. / 100 km. SEAT Leon 1.4 TGI 110 hp has an engine that can use natural gas and when it runs out it automatically changes to gasoline fuel. The good thing about natural gas is its low consumption and low sales price. 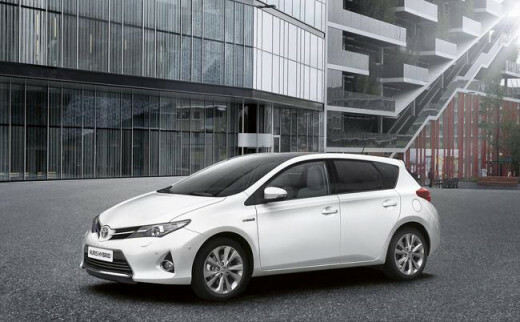 Toyota Auris uses a much more hi-tech approach to the economy thanks to its hybrid technology, which combines a gasoline engine with an electric motor. 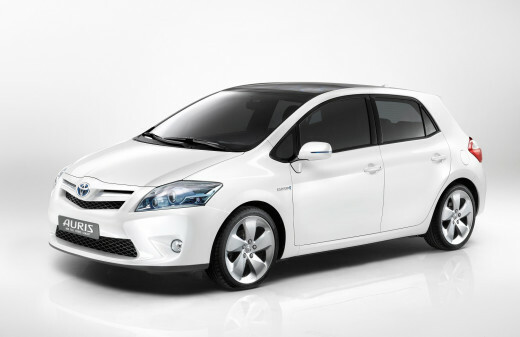 The hyper-ace in HSD Auris is that under certain conditions it can drive completely electrically i.e. with zero CO2 emissions. 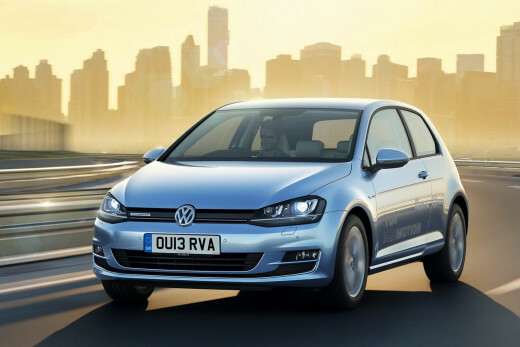 The seventh generation of the VW Golf could not be missing the most economical in consumption version, BlueMotion, just as it wasn't in the previous two generations of the model. Based mainly on improved aerodynamics and settings, the turbodiesel engine with 3.2 L/100km. fuel consumption it manages to be not only the most economical Golf, but also the most fuel efficient market model with thermal single fuel engine! The Auris HSD features a sharper design, which stands out with the front wedge shape while, besides the logos on the back, the badge in the front is surrounded with blue color. The hybrid Auris is very aerodynamic with a relevant coefficient of 0.28. Those who observe more, will see that the Golf BlueMotion has a “closed” front grille, new wheels, and a new rear spoiler that improves aerodynamics. Exclusive is also its metallic blue coloring. 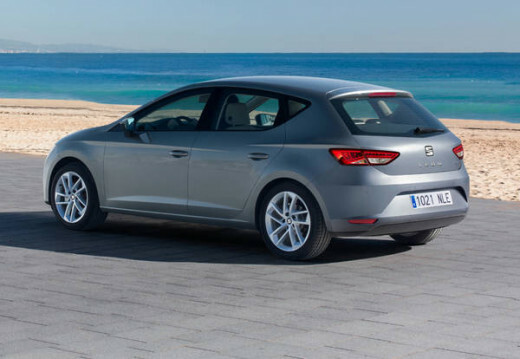 The delightful design of SEAT Leon does not differ at all from the versions that use conventional fuels (gasoline or diesel), that, if we exclude the TGI logo on the back right side. The 1.4 TGI engine of Leon has an output of 110 hp and a torque of 250 Nm between 1,500 and 4,000 rpm. With the help of the short 6-speed gearbox, this engine is able to offer quite a satisfactory performance for the car. The difference in favor of the gasoline performance is imperceptible. There is no button for fuel choice, the start is always made with natural gas, while the system automatically turns on gasoline only after CNG is finished. The Leon 1.4 TGI has two gas tanks with a total capacity of 15 liters and has an extra fuel tank of 50 liters. The theoretical range is 400 km. CNG and 900 km. with gasoline. The ace of Leon is the travel economy as it consumes only 3.4 euros / 100 km. (Gas price 0,973 euro / kg). Gasoline consumption is between 5.5 and 6.1 L/100km. 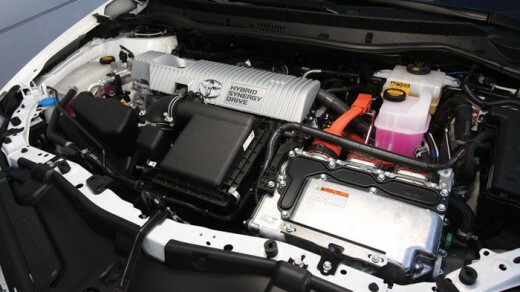 The hybrid system of Toyota Auris consists of a gasoline engine of 1.8 liters Atkinson's cycle VVT-i technology with 99 hp and an 82 hp electric motor, while for storing electricity, nickel metal hydride (NiMH) batteries are used. 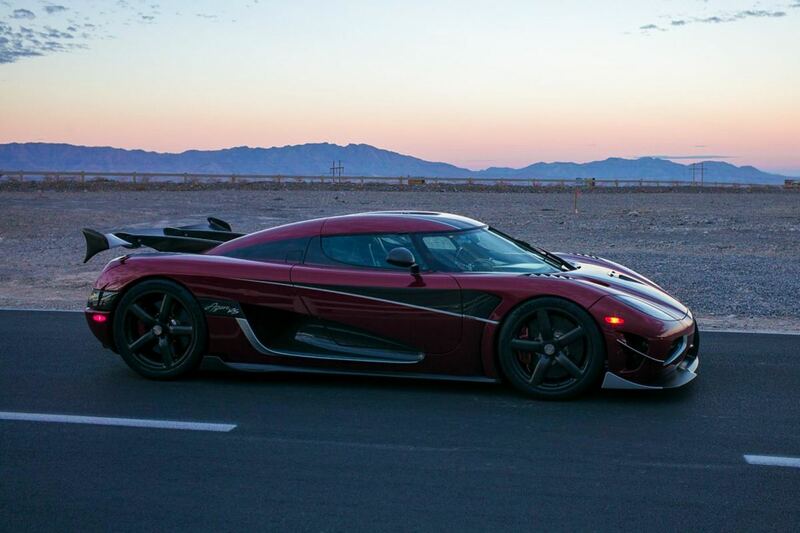 The result is a combined power of about 136 horsepower. The battery is continuously recharged during driving, through the recovery system of the vehicle's kinetic energy actuated during braking or driving. The gasoline engine and the electric motor operate independently of each other, but also at the same time when necessary. With the electric motor, the Auris can drive autonomously at speeds of up to 50 km/hr (operation EV), providing during this time zero fuel consumption and zero emissions. For the transmission there is a sophisticated package that functions as CVT and produces a characteristic hum at high revs. Otherwise, the average consumption remains as low as 3.6 L/100km. The engine of Golf BlueMotion, is the newest generation of 1.6 TDI with several improvements in internal friction, temperature management, etc., to help reduce fuel consumption. In addition, the 16-valve engine delivers 110 horsepower at 3200-4000 rpm (105 PS in “simple” Golf 1.6 TDI), with the torque of 250 Nm to be available at 1500 revs. In addition to this, the gearbox is mechanical, with 6 relatively long relations, which aim not to burden consumption, but that does not mean that the BlueMotion lacks performance. In practice, the engine draws dynamically from low rpm and has a reasonable noise, and if the driver goes into the range of torque an average of 4.5 L/100km. can easily be achieved in practice. The Golf cabin stands out with its quality feeling. The finish is impressive and it is so hard to find a flaw, apart perhaps from the restrained design. The driving position is excellent, while the driver and the passengers enjoy seamless regional visibility. The color touch screen in the center console stands out, while the comfort and safety equipment are more than full. In the same standards vary the interior decoration of the Auris, characterized by straight lines and the almost vertical view of the dashboard. 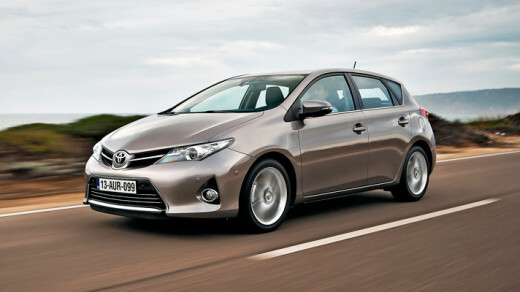 The Auris thanks to the indications for the hybrid system looks more hi-tech. The driver has in front of him the Eco Drive Support system, which has replaced the tachometer, the blue lever technology gearbox e-CVT, and the unique font on the indications of the board, while both the trip computer, and the system infotainment provides information on the energy flow of the hybrid system. Ergonomically, everything works as it should, but the rearward visibility is somewhat limited. Inside the SEAT Leon 1.4 TGI differs relatively to the rest Leon versions and relates only to an additional information, which is required because of the existence of CNG. 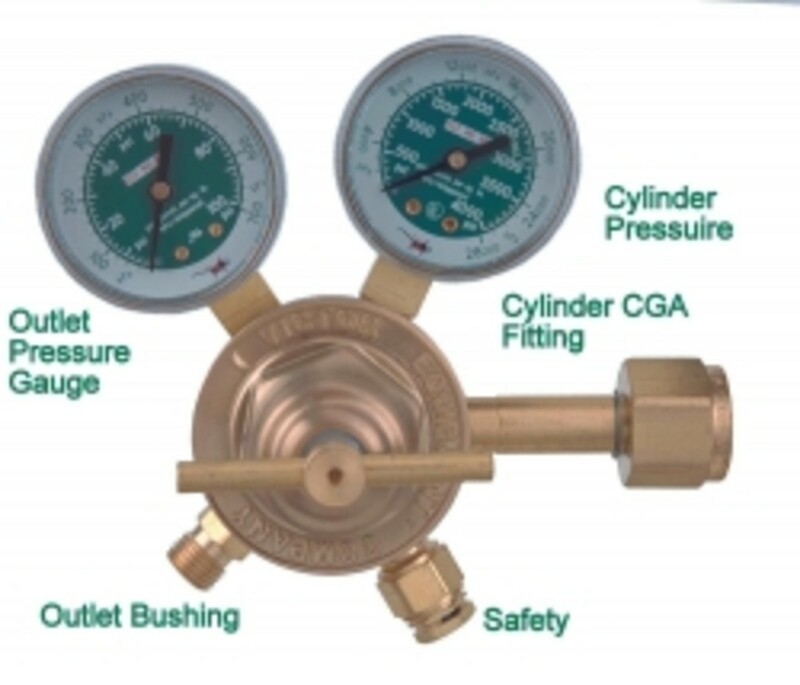 Thus, on the instrument panel there are two different indications for the amount of fuel present in the tank, one for gas and one for gasoline. Then, on the indications of the trip computer but also those of the central touch screen console, are added and those for natural gas. 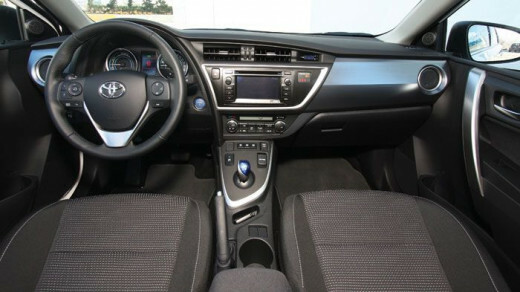 Beyond that, there are no other changes to the interior, which fully satisfies quality and has good aesthetics. The Golf is no different from its simple versions in what has to do with the spaciousness of the cabin and this translates into a comfortable space for five adults and their luggage (380 l.). Beyond that the Leon offers greater legroom in the rear, but the placement of the gas tank has removed 105 liters from the luggage compartment, so that reaches 275 liters. In the case of Auris capacities of the cab do not differ at all in relation with the simple versions of the model and the new battery pack, has a small volume, lightweight, and is positioned entirely below the bottom of the rear seat. However the space for the knees of passengers is small for this category. 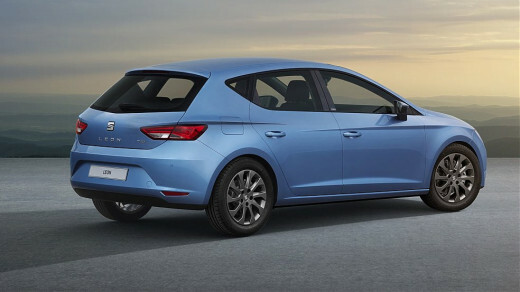 The new SEAT Leon 1.4 TGI is available in a single armament version (Style), which has a rich list of armament elements. This version costs 18,690 euros (with withdrawal and reduction), an amount deemed good, based on the economy it provides, but also the armament of completeness. 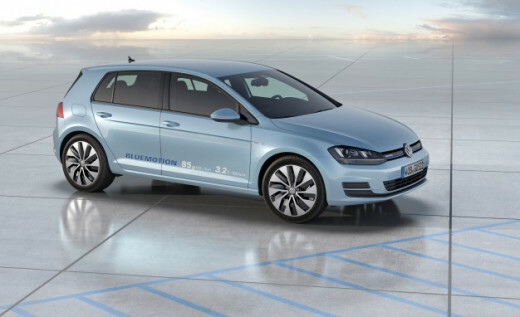 The VW Golf BlueMotion costs 21970 euros in five-door version being almost 2,000 euros more expensive from the original “plain” Golf 1.6 TDI. 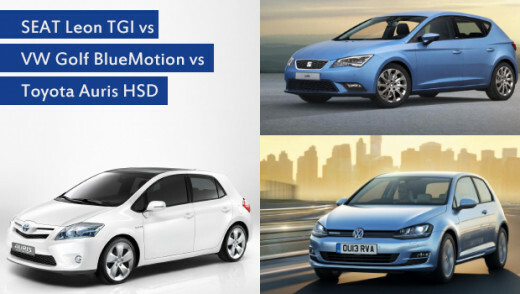 This difference is fully justified not only because of the benefit in fuel consumption and emissions, but also because of the completeness of the version BlueMotion equipment. The Toyota Auris HSD costs 21,300 euros, but the Value for Money wins extra points due to the low maintenance costs it has. Compared with a conventional vehicle it saves 1,500 euros / 100,000 km. (relieved by replacing the disc-set, belts and other peripherals). Moreover, the pads have increased lifespan of up to 100,000 km. Thanks to the continuous energy recovery, equipment is complete and there is a six-year or 180,000 km warranty for mechanical parts. 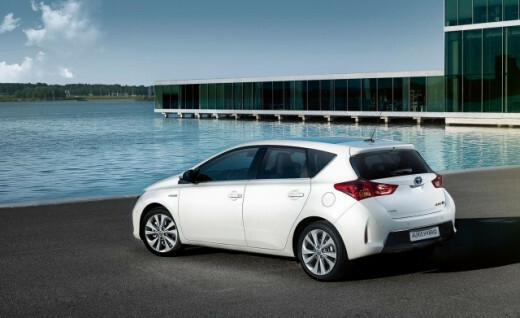 The Toyota Auris is the king in the city, since the hybrid system allows it to move purely on electricity up to 50 km/hr. This means that within a city it can be driven completely noiseless and particularly with zero requirements for gasoline. This does not mean that on a country road it lags. Rather it is comfortable if the engine is not pushed high and it is quiet and well traveled. Meanwhile, reprise is good, with automatic transmission doing a good job. Even if is pressured in road turns it does not lose its composure and understeer is progressive and controlled. Sporty of course it is not and the feeling of steering and brakes gives you an idea about it. Behind the wheel of the SEAT Leon 1.4 TGI the driver will hardly perceive the extra weight of the -many- 135 kg, mainly because of the gas tanks and the various safeguards they require. Instead you can enjoy a very good and solid feel. Meanwhile, in road turns, the understeer tends to appear progressive and controlled easily from the electromechanical power steering. The car manages even better in terms of comfort and quality of the running, with the adjustment of the suspension to provide quiet and extremely refined passages from the bumps, giving a sense of larger and more expensive car. 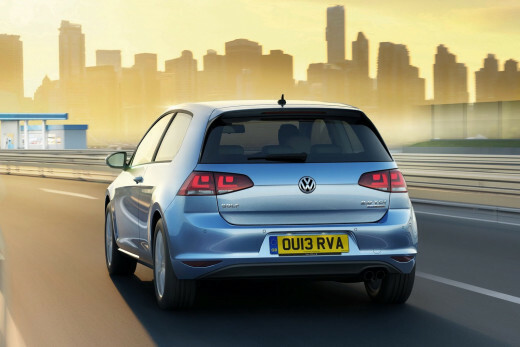 The VW Golf Bluemotion is the most mature driver-sense model of the group combining comfort, ride quality and pleasant road features. Indeed the 15 mm. lower suspension comes to give a slightly more sporty feel to the whole set when mostly cornering. Beyond that, the most economical Golf maintained stable and completely safe to straight road and traveling is easy to handle with reasonable reactions when cornering. For comfort, lowering the suspension showed no negative impact on its effectiveness during the passage of the bumps, absorbing them emphatically. In very good levels remains finally the ride quality, while the brakes are kept extremely effectively. 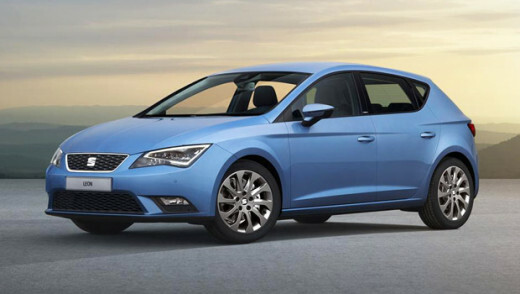 Based on numbers the most economical in acquisition and use is the SEAT Leon 1.4 TGI. But is has a small trunk, and a limited refueling network (for now). The Toyota HSD Auris is the most hi-tech option, but also the most expensive to acquire. The big trump is that under certain conditions it can be moved electrically namely 0 consumption and 0 CO2 emissions. 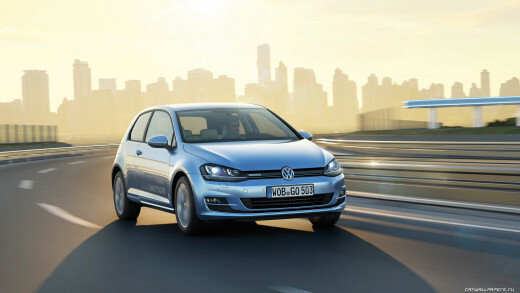 The Golf BlueMotion is the ultimate “green” Golf, but the new generation of the model not only stays in the economy, but retains the high quality, safety and comfort that characterize all Golf. 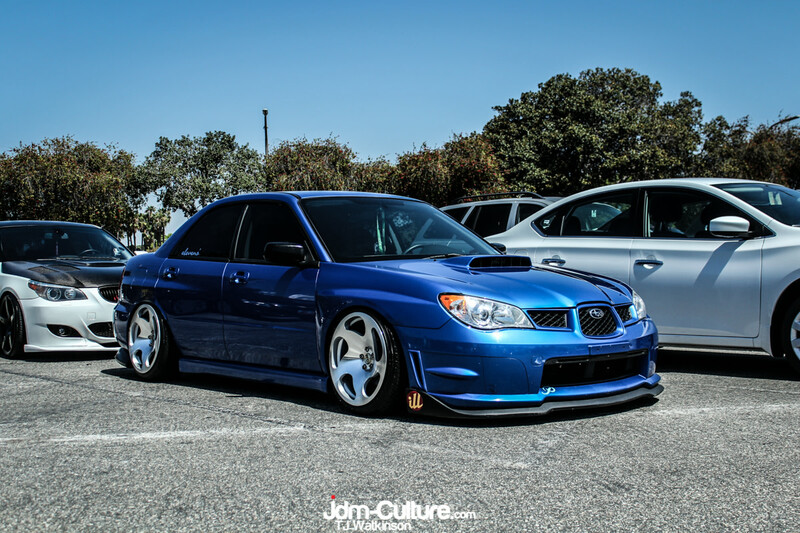 What is considered a show worthy automobile?